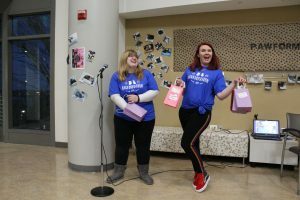 The Mount hosted its first ever Pawformathon Saturday, Feb. 9, a charity event to raise money and collect supplies for Mid-Hudson Animal Aid in Beacon. 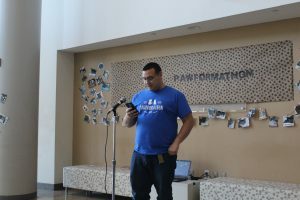 The event, held from 2-7 p.m. in the Aquinas atrium, raised about $455 to donate. 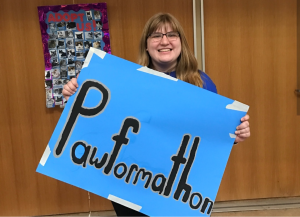 The Pawformathon was the personal project of Mount senior Amanda Greenwood, a nursing student who has a deep love of shelter pets. 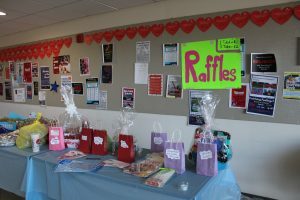 To raise money the event featured raffles for prizes donated from Beacon and Newburgh businesses such as Alexis Diner, Pizza Shop, and Beacon Bath and Bubble. 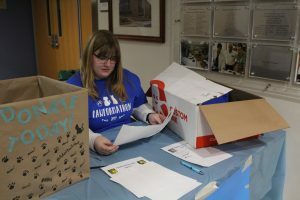 There were also shirts and baked goods for sale, along with donations links posted to the event’s Facebook page. 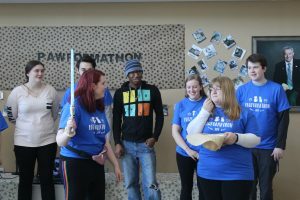 Throughout the event there were performances from clubs such as Different Stages, Improvology, Knight Notes, Allies and Essence of Poetry. 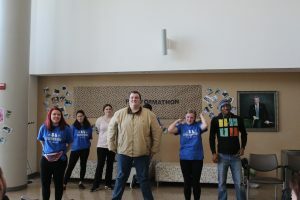 Students from the clubs and other event participants performed songs, poems, an improv harold (a group of scenes with games in between), improv games, and lip-syncs to their favorite songs. If you want to assist Mid-Hudson Animal Aid just go to their website and submit on online donation or purchase something from their Amazon Wishlist to donate. Amanda Greenwood, the creator of the event. Greenwood prepping for the event at the sign-in table. The raffle table featuring various gift baskets from business in Newburgh and Beacon. Improvology performing a harold, a group of scenes with games in between. Improvology performing their game involving creating scenes out of random props. 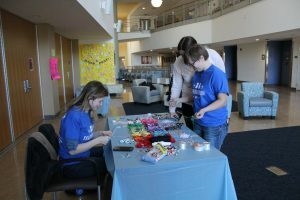 Event participants making bracelets at the Get Creative craft table. Mount Senior Tad Loarca performing his original poetry. 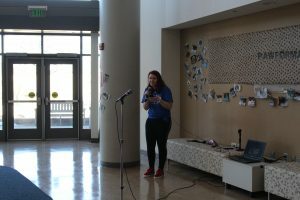 Mount senior Lindsay Ostrander performing a song. Greenwood and Ostrander announcing the raffle winners. 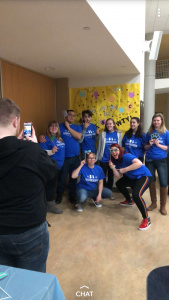 All the students involved in running the event taking a picture in their event shirts.